In the fall of 2016, Ellen Lofaro, who received her PhD from the University of Florida in 2016, joined the UT community to curate the archaeology and osteology collections housed by the Department of Anthropology. The majority of the collections are from excavations dating from the 1970s to the early 2000s directed by faculty members, now professors emeriti, including William Bass, Boyce Driskell, Charles Faulkner, Richard Jantz, Walter Klippel, and Gerald Schroedl. These collections range in age from 100 to 13,000 years old. Many are from Tennessee or the Southeastern United States. Together with Timothy Baumann, curator of archaeology at the McClung Museum, Ellen directs the coordination of the Native American human skeletal remains and funerary objects that fall under the purview of the Native American Graves Protection and Repatriation Act (NAGPRA). 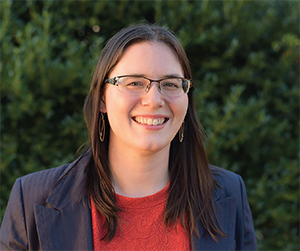 Currently, Ellen works with representatives of the Cherokee Nation, the Chickasaw Nation, the Eastern Band of Cherokee Indians, and the United Keetoowah Band of Cherokee Indians in Oklahoma, who have requested the return of human skeletal remains and funerary objects from sites curated by faculty in the anthropology department.